If you use Tweetdeck you’ll know that the third-party Twitter client has basically been unusable for the last 48 hours or so. It’s not Tweetdeck’s fault – it’s Twitter rate limiting the app, and it’s not just Tweetdeck that is affected. Lots of people over the last 48 hours have been switching back to using Twitter.com, and of course that can’t be bad for Twitter. Twitter recently said some more about their upcoming Streaming API, claiming that this will help eliminate rate-limits for third-party apps – but what guarantees are there that this will work? In short, like with the rest of the API, none. Twitter needs to figure out how to guarantee users sufficient API access for third-party apps: the demand is certainly there. In my view, the way to do that is to cut to the chase and start charging for access to the API, at least for users that are willing to pay. This is in everybody’s best interest – in Twitter’s, in the developers’ and for users’. In a perfect world, everything would be free forever and we wouldn’t need money, but this isn’t a perfect world, and we all have to realize that money makes things work and binds us to commitments. Yes, Twitter has plenty of cash and should be able to keep everything working, but with a free API with no uptime guarantees, Twitter can frankly do whatever it wants to with that service. To put it another way, Twitter doesn’t have a transactionally-binding obligation to answer to their developers or their users that use third-party apps. If they did, we might all be better off. Of course, users will have to deal with either ads or paying to use an app, but frankly, that is the what we all do with almost any app anyway, so why should Twitter apps be any different? Also, from the developer side of things, they’ll have to spend more time on revenue streams – but again, isn’t that what they should be/are doing anyway? Access one user at a time? Another possible option is to only charge for API access to those Twitter users that really care about uptime on third-party apps. If it was set up like that, then we could be given some kind of code or something that we plug into third-party apps that will then let us access Twitter at Twitter homepage speeds (of course, if Twitter fail whales, then we still wouldn’t have access to our tweets). 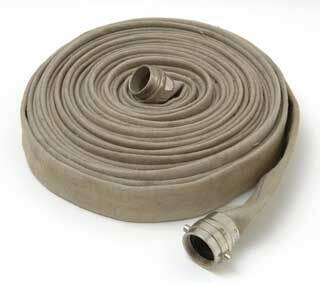 So there, I said it as clear as day: I would pay Twitter/developers for access to a personal Twitter firehose (i.e. as fast as it shows up on Twitter.com) in third-party apps. Would you? Whatever approach it takes, Twitter needs to come to terms with this with their developers and users, as some of us want to use the apps we want to use and don’t want to be penalized for it. Oh, and btw, Twitter can make money off of this. Fancy that.